Chiropractic is a natural method of health care that focuses on treating the causes of physical problems rather than just treating the symptoms. Chiropractic is based on a simple but powerful premise: your brain controls every cell in your body. The brain communicates with the body by sending messages down the spinal cord and out to the body through your nerves. With a normal functioning spine and healthy nervous system, your body is better able to heal itself. A Chiropractor will make sure that there is no interference and that your nervous system is functioning optimally. This is done without expensive medication and surgery and without the side effects. Chiropractic works by restoring your body’s innate ability to be healthy. When under the proper control of your nervous system, all the cells, tissues, and organs of your body are designed to resist disease and ill health. The chiropractic approach to better health is to locate and remove interferences (subluxations, misaligned vertebrae) to your nervous system. With improved spinal function, there is improved nervous system function. The goal of the Chiropractor is to remove interference that may be impairing normal health through specific chiropractic adjustments, allowing your body to heal itself. A healthy spine and a healthy lifestyle are your keys to optimal health! A subluxation is when two bones that form a joint are misaligned or out of place and not moving properly. This puts pressure on the joint and irritates or pinches surrounding nerves. The joint and nerves will not function properly. A chiropractic adjustment is the art of applying a specific force in a precise direction to a joint that is subluxated, “locked up,” or not moving properly. The purpose of this safe and gentle procedure is to eliminate interference to the nervous system, improving spinal function and overall health. Yes. Chiropractic is widely recognized as one of the safest drug-free, non-invasive therapies available for the treatment of neuromusculoskeletal complaints. Although chiropractic has an excellent safety record, no health treatment is completely free of potential risks. This being said, you should consult with your chiropractic physician if you have any specific concerns. The risks associated with chiropractic care are very small. Many patients feel immediate relief following chiropractic treatment. Is chiropractic treatment safe for children? Do children need chiropractic care? Yes, and Yes. Chiropractic is safe for children of all ages. Chiropractic care is important for everyone. 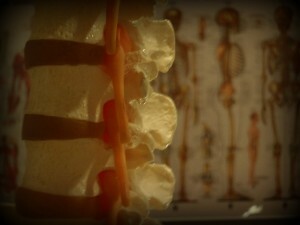 Different techniques are often used for children and the elderly due to their spine’s delicate nature. Children need chiropractic care so they do not develop similar problems we see in many adults, like nerve compression and arthritis. There are also many conditions that have a genetic or hereditary component such as scoliosis or abnormal curvature of the spine. It is especially important to have children checked by the doctor after they have had a fall or other trauma. Chiropractic care can also help the elderly from developing more serious complications from their longstanding spinal and nerve related conditions. No. However, chiropractic care is successful with a very wide variety of health conditions not necessarily considered “back” or “neck” problems because of improved nervous system function. With a normal nerve supply the body’s natural healing capacity can improve a variety of health conditions. Chiropractic is a health care profession that focuses on disorders of the musculoskeletal system and the nervous system and the effects of these disorders on general health. Chiropractic care removes subluxations so that the nervous system can function optimally; therefore, your body’s inherent ability to heal itself can be fully expressed. Chiropractic care does not fix or cure disease. Chiropractic care does not cure cancer. Many of the symptoms associated with diseases may decrease or even disappear with chiropractic care. As subluxations are removed, the spine becomes more stable and the body begins to heal. Chiropractic care is not just for back and neck pain. The majority of all insured individuals have coverage for chiropractic services in their health care plans. Every insurance plan is different. Depending on your insurance plan, we can determine what amount of coverage you have. Every patient is different. There are many factors that must be taken into consideration when it comes to healing times. Many patients experience some degree of relief within the first 2 weeks. Some patients experience some decrease in their symptoms within the first 24 hours! Others may take longer to start to show signs of improvement. Healing is dependent on the length of time a patient has had subluxations and the severity of their problem. The first visit is usually the longest. The first visit may take up to an hour depending on how complicated your case may be. On your first visit, you will fill out some basic forms including a history of your specific problem. An exam will be performed and X-rays may be taken if clinically indicated. On your second visit you will review the doctor’s findings and begin your treatment plan. This may take about 30 minutes. After your first two appointments, each subsequent appointment generally takes between 10 and 20 minutes depending on your treatment. Now! The best time to see a chiropractor is before you develop a problem. Eight out of ten people will experience back pain at some point in their life, and at least one third of people will have back pain at any given time. If you have never had any back pain before, chances are you know of someone who had or currently has back pain. For many people, the pain can keep them away from work, school, or even their day-to-day activities. If you are proactive about your spinal health and receive regular wellness care, you can help prevent pain and suffering later in life. In the long run, wellness care is also more affordable than acute care. How do I know if or when I am subluxated? It’s not easy to know when you are subluxated, although pain can be a clue. Abnormal posture including one shoulder higher than the other, hips not level or a head forward past the shoulders can also be indicative of a subluxation. Often, the nerves that are negatively affected because of the misalignment in the spine do not carry pain signals. 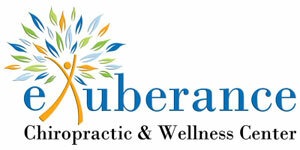 This means that you can suffer from subluxations for years without any painful warning signs. However, allowing subluxations to exist in your body can negatively impact the functions of the organs and muscles in your body, which leads to a deterioration of your health. A Chiropractor can detect the subluxations using specifically designed examination protocols. What causes the “popping” sound during an adjustment? Adjustments do not always produce a sound. Often, however, adjustments do create the sound of a spinal “release,” or “popping” sound. This release is called a Cavitation. The sound is caused by gas rushing in to fill the partial vacuum created when the joints are slightly separated. This sound is painless and totally harmless. I had back surgery. Can I and should I see a Chiropractor? Yes. Depending on the type of back surgery and when it was performed, chiropractic care may be contraindicated for the area of the spine where the surgery was performed. Chiropractic care would not be contraindicated in the other areas of the spine. In fact, with many types of back surgeries, especially spinal fusion, the degenerative process begins more rapidly at the areas above and below surgery because the biomechanical stress on the spine has changed. The spinal joints above and below the area of surgery have to take on an extra burden and deal with added stress that the normally fused spinal joints would not have to deal with. It’s an unfortunate fact that up to half of those who had spinal surgery discover a return of their original symptoms months or years later. They then face the prospect of additional surgery. This way too common occurrence is known as “Failed Back Surgery Syndrome.” Chiropractic may help prevent repeated back surgeries. In fact, if chiropractic care is initially utilized, back surgery can often be avoided in the first place. I’m Pregnant. Can I be adjusted? Will it hurt my baby? Anytime is a good time for a better functioning nervous system. Pregnant mothers find that chiropractic adjustments improve their pregnancy and make delivery easier for themselves and their baby. Chiropractic treatment is safe for both pregnant mothers and their babies. Adjusting methods are always adapted to a patient’s size, weight, age, and condition of health. If you are pregnant or may be pregnant, make sure you tell you chiropractic physician. Chiropractors take x-rays to reveal the internal structure and alignment of the spine. We are also concerned about underlying disease processes and disorders of the spine such as spinal degeneration, arthritis of the spine, abnormal development, bone spurs, disc disorders, tumors and spinal curvature. If you have an underlying condition you may also need to be referred to another medical specialty for a multi-disciplinary treatment approach. X-rays also provide a blueprint for correcting the spine back to optimal health and alignment. If I just workout instead of getting adjusted isn’t that okay? Exercise is a very important part of good health, yet it does not take the place of an adjustment. Without normal spinal function, a physical workout merely puts additional wear and tear on improperly functioning spinal joints. It is similar to suggesting that if you brush your teeth daily you won’t need to go to a dentist. The doctor will recommend a treatment plan specifically designed for you and your specific condition. For you to obtain the best results from chiropractic care, it is important that you stick to the schedule the doctor recommends. No. A patient does not need a referral by an MD before visiting a doctor of chiropractic. Chiropractors are first contact physicians, and are so defined in Federal and State Regulations. Following a consultation and examination, your chiropractic physician will arrive at a diagnosis under chiropractic care, or refer the patient to the appropriate health care provider. This is only a small representation of some of the benefits patients realize while being under chiropractic care.